Puerto Rican parrots at Iguaca Aviary in El Yunque National Forest, Puerto Rico. 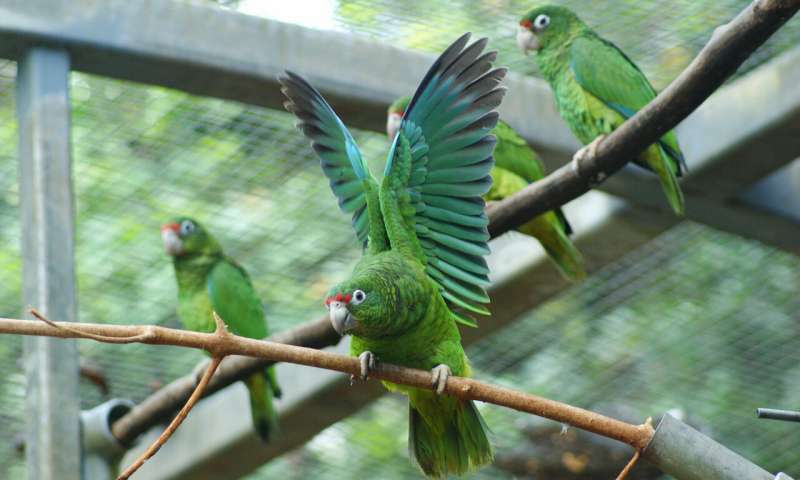 Puerto Rican parrots are critically endangered, with a total population of under 500. Credit: Pablo Torres-Baéz, U.S. Fish and Wildlife Service. 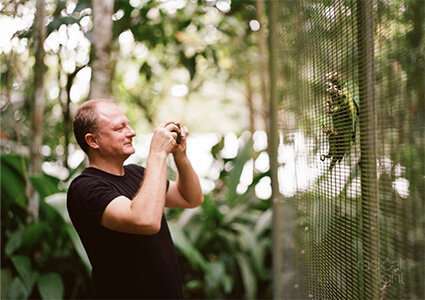 Taras Oleksyk photographs a Puerto Rican parrot at Rio Abajo Aviary, Puerto Rico. Credit: Matthew Landers, University of Bergen, Norway.